An unfortunate (and thrillingly unique – but that’s another blog…) part of being a racing driver is that you’re going to be involved in a crash. Thankfully, Motorsport UK are continually doing a great job to make sure we all walk away from accidents without too much physical damage. But there’s always a chance you’re going to pick up an injury – or, like me, you’ll pick up an injury away from the track which affects your racing. Then what do you do? After my motorcycle accident in June, I underwent a course of physiotherapy, which got things moving again but left me with near-constant pain and a body that just didn’t feel right. 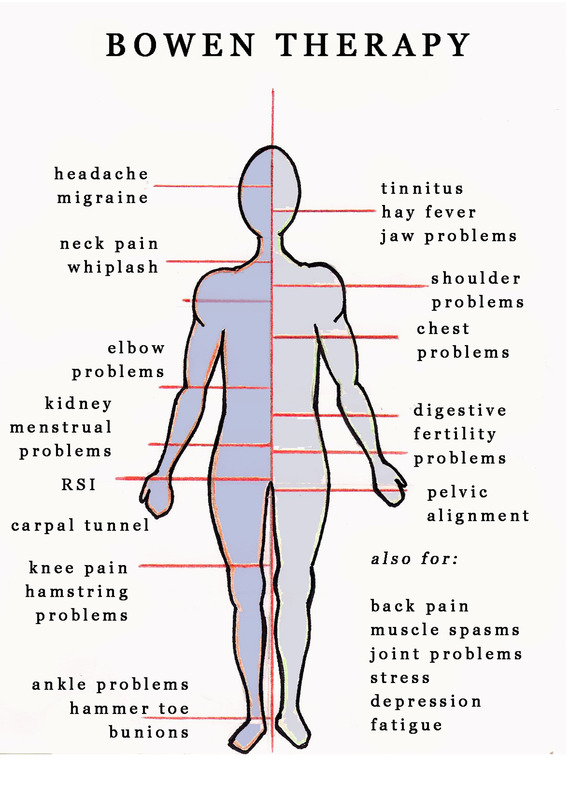 One of my managers at work told me about Bowen Therapy, which had helped her after a nasty road accident. I figured anything was worth a go, and so booked up a session with a local therapist. I deliberately looked into what was going to happen to me as little as possible, so that I wouldn’t have any expectations. I’m also a firm believer that even a placebo effect gets the job done, so all I had to lose was the £45 per session it would cost, for a minimum of two sessions. My main problem is lower back pain which is made worse when sitting in a chair or standing up. Somewhat ironically, I’m only really pain-free when strapped into my race seat in the Formula Vee! I also have a lot of upper back issues and my neck got ripped up pretty badly by the whiplash of getting hit in the side by a two tonne car and then slapping off the tarmac. My broken rib healed, but ribcage on that side felt twisted, my whole body was generally weak, and I’d hurt my wrist a bit. This means my fitness program ended right there, as did the karting I was doing between races. I survived the rest of the season with deteriorating fitness whilst unable to train, and clearly can’t have been driving my best. I turned up at my first Bowen Technique session with Julia Foster, having filled in a brief questionnaire on my injuries, and chatted to the friendly therapist to give her some idea of how to treat my plethora of injuries. I was told that rather than focus on my lower back as my traditional physiotherapy had, she would treat and balance my whole body, as the source of my pain may actually be elsewhere in my body. This made sense to me, but I was determined to keep a healthy dose of cynicism and just see what happened. Laying on a massage table is where it all gets a bit tricky to explain. The moves where almost like a massage at times, but more of the gentle pinching motions. Then there was some pushing of areas of my body, a bit of prodding and poking, some laying on of hands, and stuff I have no idea about. It’s not quite massage, not quite acupressure, not quite pressure point meridians and not quite fingertip massage. Overall, it’s a very gentle and relaxing experience with some brief, mild pain, and many more ticklish moments where I was trying not to giggle and flail about! I was told to drink lots of water over the next few days, and booked in another session about a week later. And to work a little on my posture by doing things like not standing with my wight on one leg. I wasn’t disappointed as I left the session, as I did feel generally better, but it wasn’t some mindblowing jump back to health – although I had been told it may take a few days to take full effect. I thought I’d be needing some full-on chiropractitioner crack-and-snap treatment to get my bones back into alignment, but after the first Bowen session the difference was fantastic – especially given that the touching was so light! Sitting at my desk the following morning I was surprised to find the pain almost gone, although this had been masking another nerve-type pain in the same area of my lower back. Either way it had definitely reduced my pain and increased the time I was able to sit for. I have also been doing a pilates class for the first time ever, to help get things moving. This had also shown up several issues such as not being able to lay flat on my back because my ribs felt twisted. At my next pilates class I found this was greatly reduced, and this improved my performance overall. Going back to the second Bowen session, I was completely honest about all this with the therapist, and we got down to more of the same. She did comment that my alignment did look much better, and I had been paying attention to her advice on posture etc. After another hour on the table we spoke for a while about what else she had found, and I booked up a third session. I now found that the nerve pain in my lower back had gone, too – but the next layer of pain was slightly higher up in my back, plus something going on with the back of my ribcage. I noticed I was performing much better and stronger at my pilates class, but this was followed by a couple of days of the new back pain at pretty nasty levels. Again, it seemed to be caused by sitting and standing. Speaking to Julie before my third session, we reviewed all of my progress, and then it was more of the relaxing work. Right from the start it did always surprise me how she could go straight to the problem area – not finding her way by my reaction to the touches as most would do. I gave very few clues as she worked, just relaxing myself and letting her do her thing. Whilst I do understand a bit about energy within and around our bodies, I’m also a cynic of it all. Whilst this can make me a tough customer, I try not to let that colour my thoughts on the end results – and without a doubt the Bowen technique has helped me a lot. I’m not completely cured just from this, but it’s given me enough of a stable base that I will be able to ease back into some heavier training. I’m sure a lot of my remaining pain is due to the weakness of my muscles over the months I’ve been affected. That and the fact I’m getting older and don’t bounce so well! Would I recommend Bowen therapy to anyone else? Absolutely! There’s definitely something there that makes sense and works. It’s quite likely that I’ll go back for a ‘top up’ at some point, and if I do get banged around in any racing incidents I’d also expect that Bowen could do something to help me.